We are excited to announce the CEMEX 5K Quarry Quest supporting the South Florida Council • Boy Scouts of America! Come join us for the race and afterwards you will have the opportunity to explore the CEMEX Quarry heavy machinery. 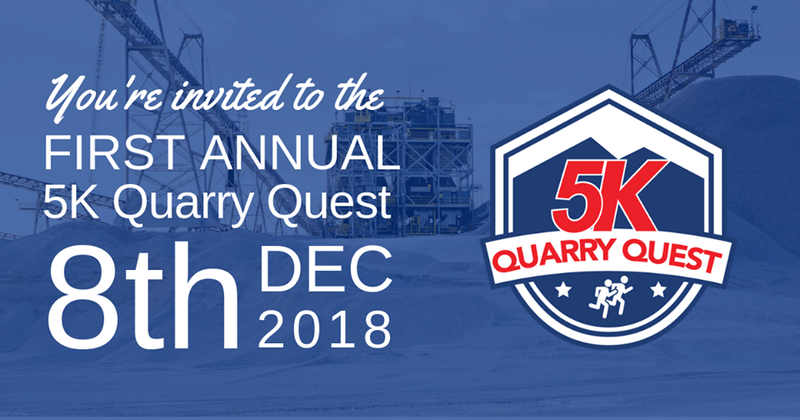 South Florida Council has the opportunity to join with CEMEX for a 5K race through the medley quarry on December 8th, 2018. Register today to come out and run for a little while. Your race package will include a participation medal, tech shirt, numbered bib with a tracking chip for timing purposes, water, sports drinks and refreshments. Awards will be given to the top 3 men and women overall, as well as the top 3 male and female participants in each age group. or at the race site on the morning of the race. Please wear your Class B Unit T-Shirt or Scout Shirt if you are running to show you are in SCOUTING. 305-364-0020 x 213 for more info. All Race Volunteers should be in your BSA Uniform.